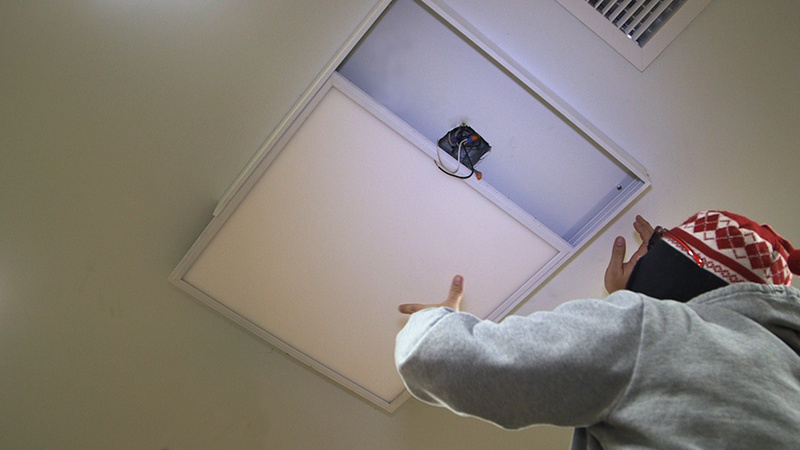 Surface Mount Ceiling Frame Kit to mount LPW-RGB6060-36. 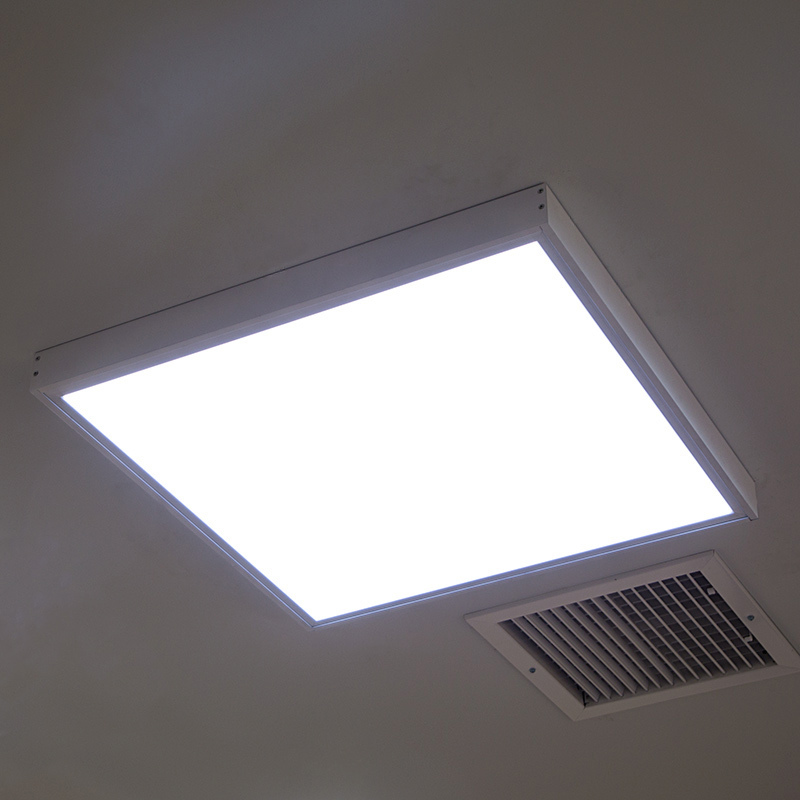 LED Panel Light Fixtures in locations without T-grid or lay in ceilings. 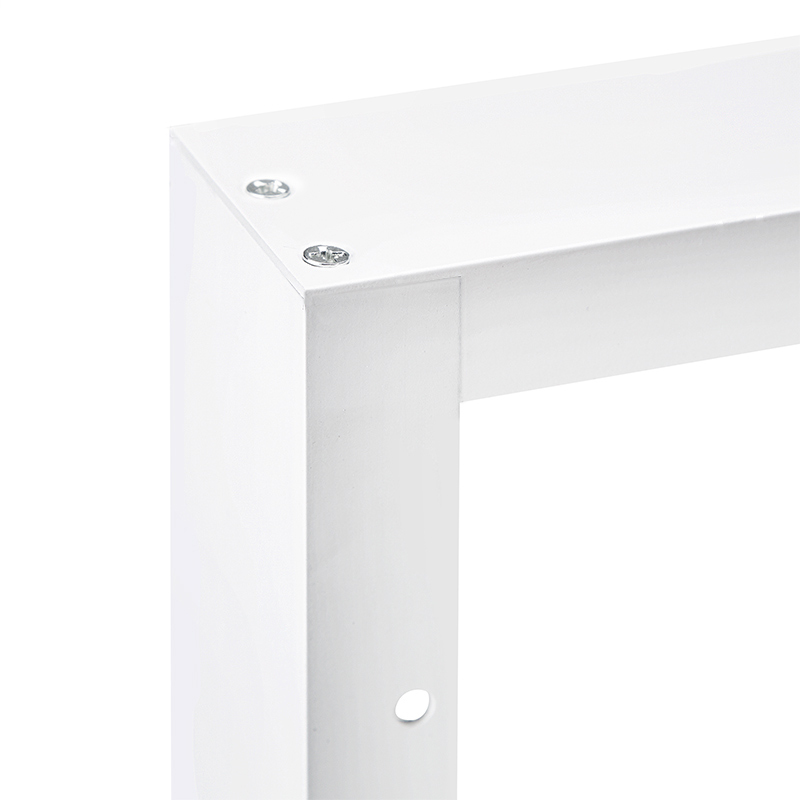 This mount only works with this panel. 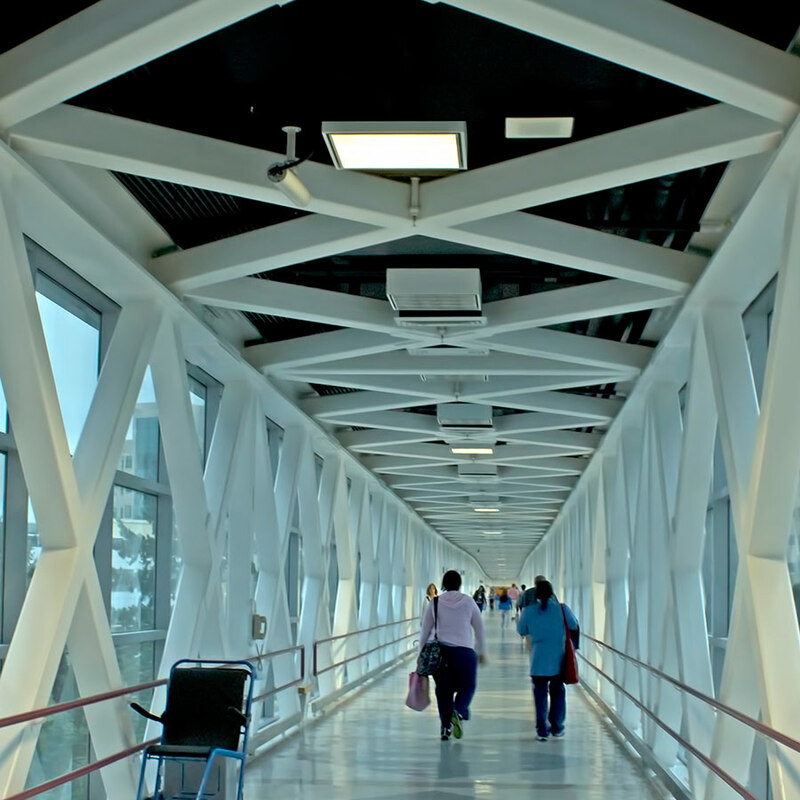 Surface mount kits are ideal for offices, schools, hospitals and medical facility applications where recess mounting is not an option. Assembly required. 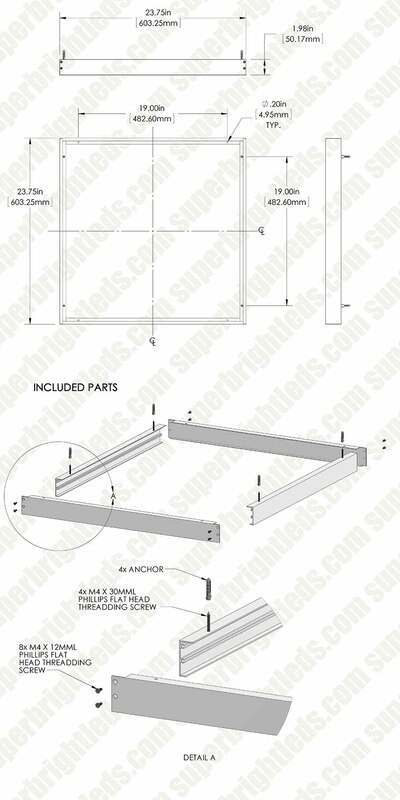 Dimensions: 60.195cm(23.7") x 60.195cm(23.7") x 5.08cm(2"). 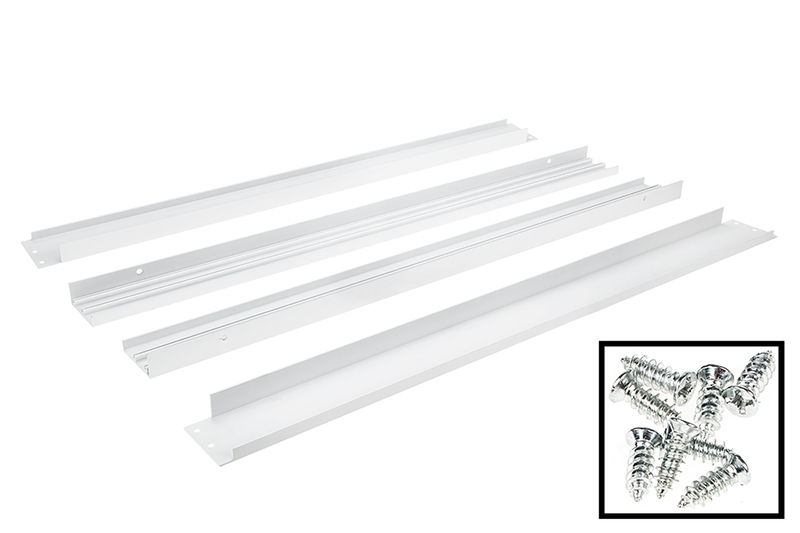 Surface Mount Ceiling Frame Kit to mount LED Panel Light Fixtures in locations without T-grid or lay in ceilings. Frame does not fit LED panels well at all. I bought these frames from the advice of the web site. Well, the frames are too small and the labels need to be jammed into the frames causing the greens to bulge out and look unsightly. 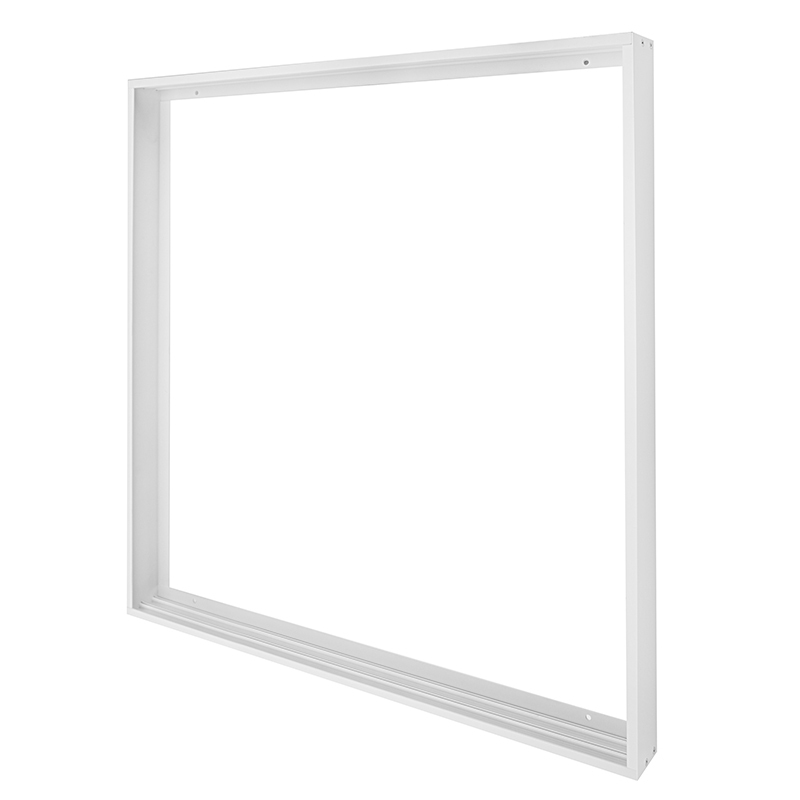 These frames are not suggested for the model LPW2-NW6060-40 lights customer purchased. 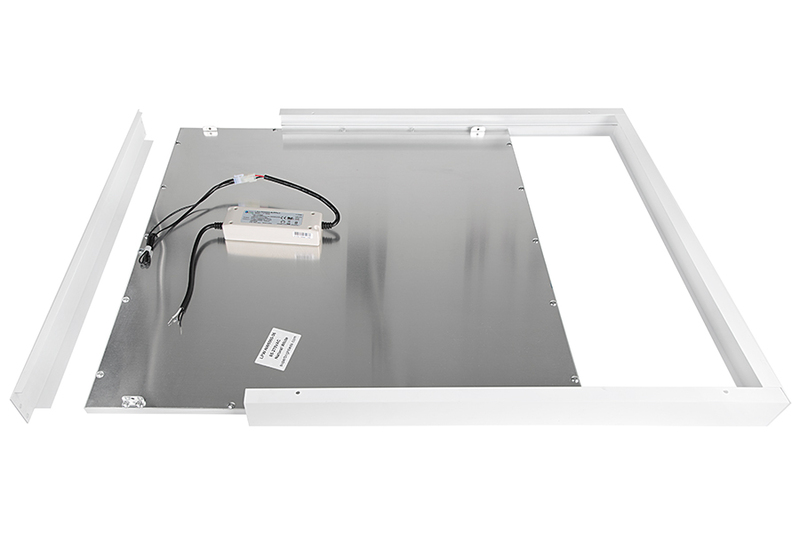 Please see product description on frame web page, "Surface Mount Ceiling Frame Kit to mount LPW-RGB6060-36 and LPW-NW6060-36 LED Panel Lights..."